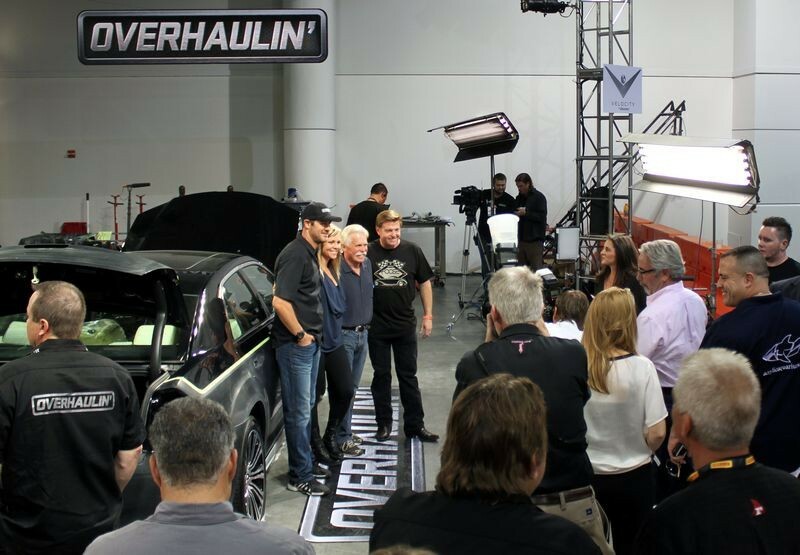 Max and I were invited to the private cocktail party at the Overhaulin booth where they were shooting segments of the Overhaulin TV show. 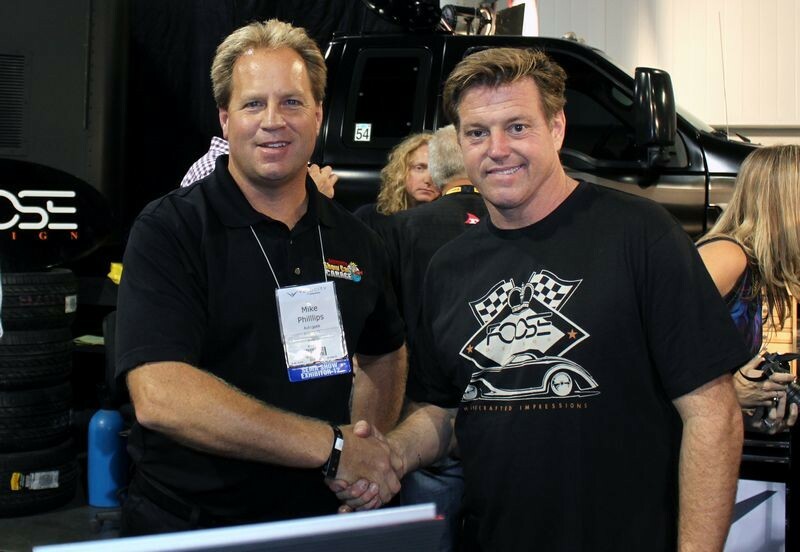 I've known Chip for going on 12 years and and have detailed a couple of his car creations. This year I had a chance to talk with him and also sign and give him a copy of my how-to book. 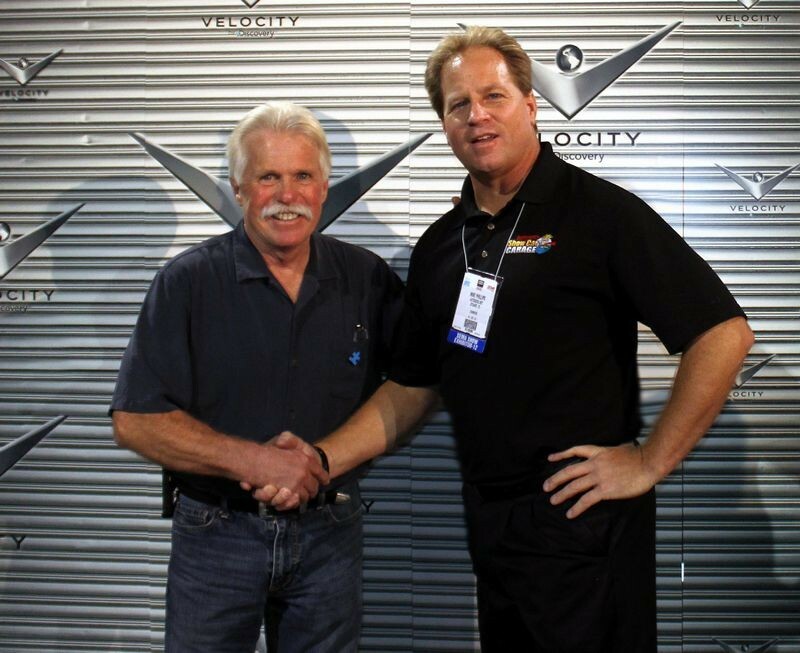 Met and spoke with Wayne Carini about cars and detailing classics. I told Wayne I have an article on how to restore antique and older original single stage paints like "Barn Finds" to preserve the originality of the car. Wayne was very interested in the article and gave me his business card with his e-mail and asked me to send him the link. I'm also sending him a signed copy of my how-to book. Tommy was at the Overhaulin Cocktail party and it was fun to see him again and hear about his racing accomplishments since I saw him last. 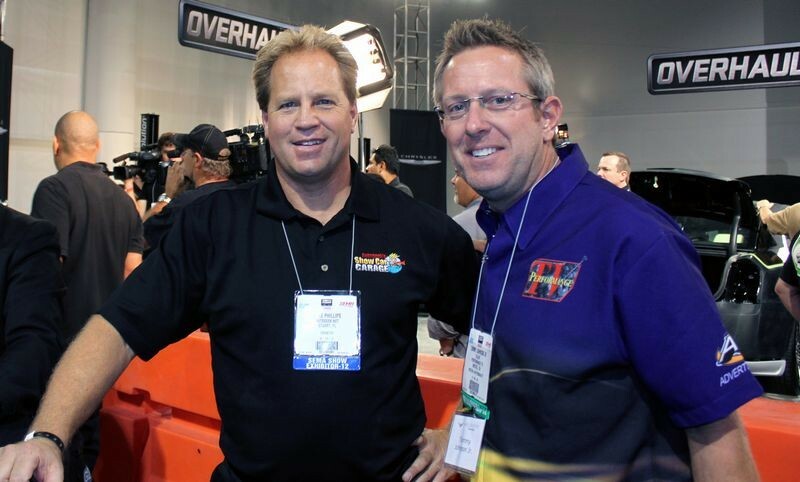 Tommy was one of my guests on Episode 6 of Season 2 of our TV show, What's in Autogeek's Garage. 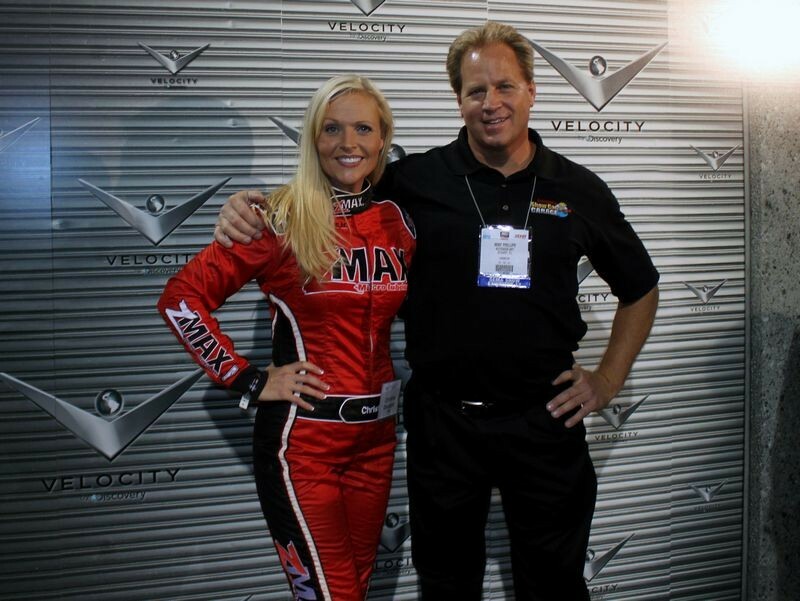 Had a chance to meet and talk with Christina Davidson while attending the Overhaulin Cocktail Party, she was very nice and a great spokesperson for zMax. It was a lot of fun meeting everyone. I only took two copies of my book with me and both Chris and Wayne asked me to send them copies and gave me their shipping information so I'm going to take care of that before the end of the day today. Cool, wish I was there for that! Cool that you got to meet them all, Jessie Combs fell in love with my parents dog, Lakota, when they meet her out in Moab Utah for a Jeep Crawl. All work and no play makes Mike a DULL boy.Good to see you mixing it up with the HOLLYWOOD types. So thats where you went late Tuesday. I stopped by to see you then but Nick had said you went over to the Overhaulin set. Looks like you had a great time Mike. Thanks for the Pictures. Wow, talk about a star studded cast Mike!! 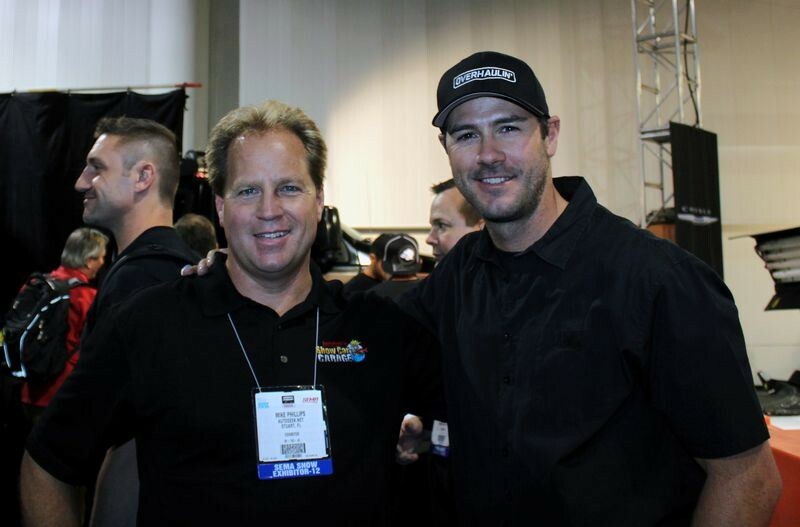 OverHaulin is my favorite restoration show period! All work and no play makes Mike a DULL boy. Good to see you mixing it up with the HOLLYWOOD types. 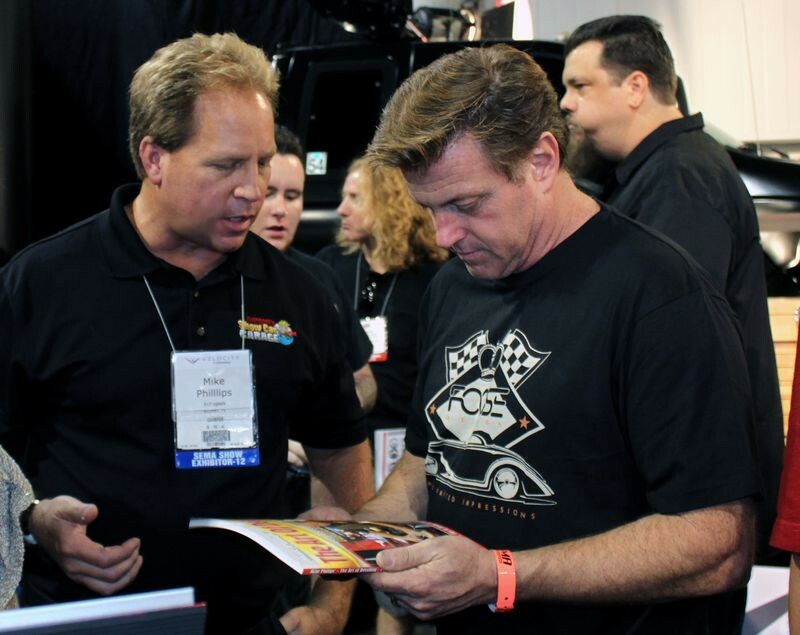 Working a booth at any car show is a lot of work, the cool thing about the SEMA show is there's always something fun to do after the show closes at 5:00pm each day. Long hours for sure and lots of talking and demonstrating the entire day. It was a lot of fun! There was an open bar and really great food! Max couldn't make it so Jason from work went with me and took pictures. After we left and were walking to the Monorail I ran into Barry Meguiar who I last saw at last year's SEMA Awards Banquet. 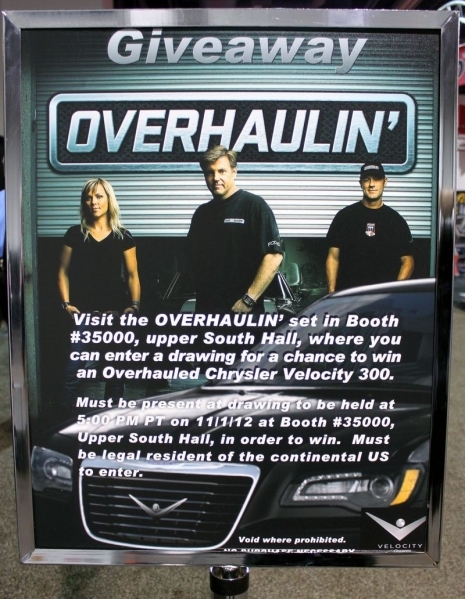 I have the highest regard and respect for Overhaulin and their crew. And Jessi - OMG, on my list of people to meet and take out to lunch - as soon as I win the Powerball and can afford to do it "rock star style" as Vanilla Ice would say, come to think of it - he's on the list too! Untill then, I can live my happy life through detailing masters like Mr Mike. I wish ya'll the best and thanks for sharing with us. What a privilege to be invited and partake of their hospitality. I used to work boat shows from 9AM to 9PM so I have some idea of what you go through.....the big difference was if I didn't sell, I didn't eat! Thanks for sharing this with us. What a great crew! Wayne Carini - my man!! But my favorite has to be the zMax girl, no question about it! OCDetail - Only P85D in custom Chip Foose Color!